One Tier Mid Veil with Trailing Lace Style WPD16266M, Ivory | What Should I Say? 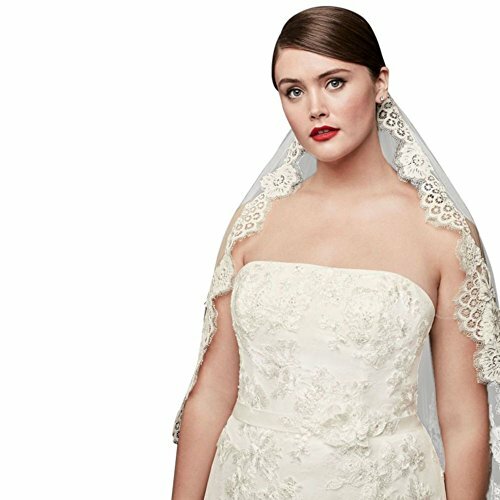 This delicate veil features elegant lace accents paying homage to a traditional Mantilla classic! One tier mid length veil features delicate lace at the comb which refers to the classic mantilla style. Dimensions: 40" L To care for your veil, hang and steam. Imported.